November 2017 I opened up a page on bandcamp, where you can download my music in several formats including CD quality wav files. 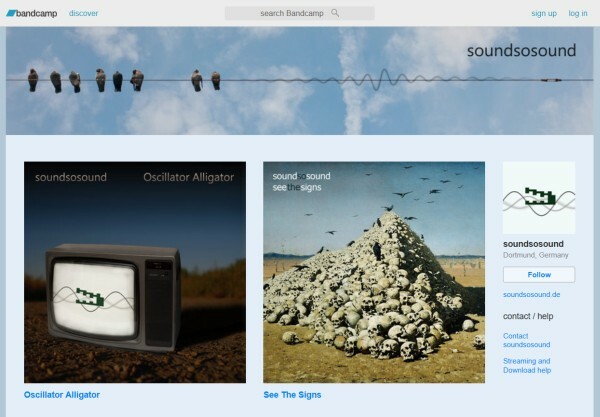 For a start, I uploaded my two most popular albums: Oscillator Alligator & See The Signs. As you might have noticed, this page itself has a brandnew layout, too: finally with a responsive design that performs well on a smartphone. Moreover, the whole concept of the page has changed: less bla bla, more direct access to the music. You can now find the cover art and audio samples of each album right on the discography page. Be the first to hear new tracks.